Think outside the basket this Easter when planning your celebration. While Easter Sunday holds many traditions, it's never a bad idea to add something new — especially if it adds fun. 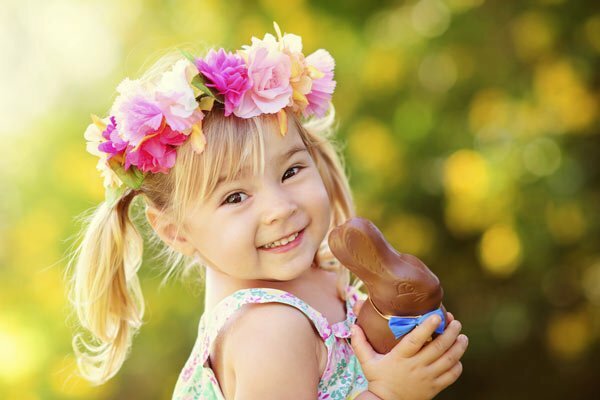 Here are 25 games and activities to help you go beyond the chocolate bunnies and egg hunts to usher in a whole new level of springtime fun! Photo Booth Easter Hunt: Instead of hiding eggs, hide party hats, silly rabbit ears, pastel tutus and photo props (like bow ties, big red lips, etc.) and candy necklaces. Once the goodies are collected, have groups pose for a photo opp. Spring Planting: If you have a green thumb, use the quiet Sunday afternoon of Easter to start a new tradition of planting something in your yard every year or put some pretty spring flowers in pots for neighbors and deliver them with a “Happy Easter” note. Egg Memory Game: Find six pairs (coins, jelly beans, small toys, etc.) and fill 12 eggs with one item from each pair. Lay the 12 eggs in a grid and play "memory" with the eggs, trying to find the matching pairs among the eggs (be sure the pairs are in different colored eggs). Set a timer and see who match the most pairs in a minute. Disappearing Shell: Simply cover a raw egg with white vinegar in a glass. Leave the egg submerged in vinegar for a day, then carefully switch it to a new glass of vinegar for one more day. At the end you will find the shell has dissolved and the yellow yoke — which is still runny so handle with care — and thin white membrane remains. Soak the "naked egg" in some water and food coloring and the whole thing will turn a new color! Science plus Easter equals fun. Titles of Jesus Table Runner: At Easter, Jesus is often referred to as the "Lamb of God," but a simple online search will uncover the many other titles of Jesus found in the Bible. Have fun researching these titles (Son of God, The Light of the World, etc.) and using them to decorate a simple table runner from a roll of craft paper. Take time to talk about their significance over your Easter meal. Capture the Egg: Divide your group in half and give each team eight hard-boiled and colored eggs. Teams line their eggs up and try to protect their eggs from getting captured by the opposing team without getting tagged during the capture attempt. (This is like capture the flag but with eggs.) To win, you have to capture all the opposing team's eggs or be the last one standing. Create a Miniature Easter Garden: Often we see the stable at Christmas, so how about a garden for Easter? Starting with a terra cotta pot base, fill it with moss and stones, making a miniature path leading to a larger stone (one with a hole in it, symbolizing the burial place of Christ, would be fun to find). Put small lights or tea candles along the path and light them during dinner or light a candle each Sunday leading up to Easter. Candy Guessing Game: One thing that is not in shortage at Easter is candy! Give everyone a paper and pencil and they must close their eyes while a partner places different candy in their mouth. They need to write down what candy it was — this works great with a variety of candy bars or jellybean flavors. Bocce Eggs: Hard boil a dozen or so eggs (one white for the target and four colored eggs per player). Gently roll the white egg onto the lawn then take turns rolling colored eggs toward the white one, trying to see who can get closest without touching it. A fun twist is to play with a few raw eggs (colored with a marker) and those who break their raw eggs are out for that round. Jesus Detectives: The tomb is empty, how did it get that way?! Have children pretend they are news reporters and need to do a live broadcast or write a news story about some aspect of the Easter story. Have them present their journalistic efforts at the family meal. Eggs in a Basket Game: One player is the bunny and the others are Easter eggs. Before the game, have those who are eggs decide what color they are going to be, but they must keep it a secret from the bunny! The bunny guesses one color at a time and the chosen player must run from one side of the playing area to the other without being caught by the bunny. Add to the fun by setting up obstacles for the eggs to go through on the way to the safety of the "basket." If the bunny catches the egg, that player becomes the new bunny. Serve a Passover Meal: Research the meaning of Passover and consider purchasing a messianic Passover seder plate and goblet. Take time to read the booklet that accompanies it explaining essential elements of the Passover feast and why understanding the Passover is significant to all believers in Jesus Christ. Paper Napkin Eggs: Cut a beautifully patterned paper napkin into half-inch wide strips. Use a water-based sealer/glue/finish and a small paintbrush to adhere strips to the egg (use plastic eggs and a utility knife to cut around the middle), lining up the pattern and trimming away excess. After it dries, add one more layer of glue. These can be filled with a special treat for Easter guests. Recycled Egg Toss: Cut the top half off of four two-liter bottles. Stand back and take turns trying to toss plastic eggs in and see who can get the most into the bottles. The best part is that everything you need can be found in your recycling bin and left-over Easter decorations. Easter Word Play: While waiting for Easter dinner or for eggs to be hidden for a hunt, use holiday-related words written at the top of a paper — a copy for each guest — and have them see how many words they can make out of each word like: Easter (eat, rat, sat, ease, tea, tree, etc.) The person with the most words gets out of cleanup or gets an extra chocolate bunny! Easter Around the World: In Bermuda, Good Friday is celebrated by flying kites to symbolize Christ's ascension into Heaven. In Australia and the United Kingdom, children display homemade or special hats in an Easter bonnet parade. 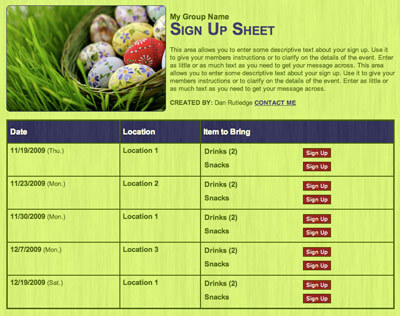 Start your own family Easter tradition borrowed from somewhere around the world. Family Sunrise Service: Easter Sunday is often full of hustle and activity. Why not set aside the Saturday before Easter (or the weekend before) and find a quiet place to see the sun rise, sing a few favorite songs and celebrate a family breakfast together, remembering God's faithfulness from the past year and sharing what Easter means to you. Start an Easter Library: Use your library's online reserve-a-book feature and search for lots of fun spring and Easter-themed books to go collect for an afternoon of reading. Some recommended titles are Liz Curtis Higgs' "The Parable of the Lily," Laura Numeroff's "Happy Easter, Mouse!,” Tad Hill's "Duck and Goose: Here Comes the Easter Bunny" and, for older readers, Lee Strobel's "A Case for Easter" or J. Warner Wallace's "Alive: A Cold-Case Approach to the Resurrection." Crystal Covered Egg Shapes: Take a pipe cleaner and shape it into an egg. Attach two different colored smaller pieces shaped like a zigzag stripe across the middle. Completely submerge your egg shape (suspended from a piece of string tied to a bamboo skewer) into a deep glass bowl filled with three tablespoon of borax mixed with one cup of very hot water (six cups should fill a large bowl). Twenty-four hours later, if left undisturbed, you can pull your egg shape out and it will be covered with beautiful crystals. Adult supervision is recommended. Bunny Hop Race: Divide into pairs and each pair of players gets two large cardboard or card stock egg cutouts (little ones can decorate beforehand). The first player stands on one egg and the second player places the cutout on the ground in front of the first. Then the first player hops to the second egg. They repeat this until they get to a designated turn around spot and then switch jobs, with the second player being the hopper and the first player is the egg dropper. Peeps Wreath: Take a 10-inch Styrofoam wreath and a five-color sampler pack of bunny Peeps (tip: let the Peeps dry out for a couple of days to lessen stickiness) and attach peeps to the wreath with toothpicks. Aim for two per bunny, place in Styrofoam and stab bunnies in the back (sorry bunnies). Fill the center of the ring with vertically placed bunnies. Attach a pastel ribbon at the top. This may best be hung inside so pests aren't a problem or spray with clear varnish to seal. Art with Eggs: Ready for some messy fun? Fill hollowed-out eggs with washable liquid paint, then use a glue stick and some tissue paper to cover the hole and throw against a large canvas or on the driveway for a colorful explosion of Easter art. Fill 'Er Up: Fill a large bowl with chocolate candies or jellybeans. Give each player a three-ounce cup and a spoon. Placing the handle of the spoon in their mouth, the object of the game is to fill up their cup with candy using only the spoon in their mouth. See who can do it without dropping any candy and the winner gets to eat what's in their cup. Easter Tree: Hang simple eggs, flowers or other signs of spring from a branch picked out by the whole family. Another idea is to hang favorite inspirational quotes, Bible verses or symbols of faith from the branches. Stabilize the branch in a jar of marbles or sand and display in a prominent place. No matter when Easter falls on the calendar, it is a harbinger of spring and a meaningful reminder of new life. 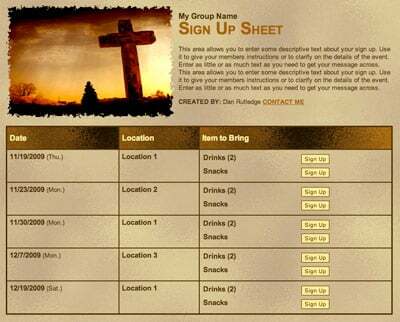 These activities include something for every age to celebrate faith, fun and family. Just gather up a few eggs — real or plastic — put on your creative thinking bonnet, and make this Easter one that is full of great memories! 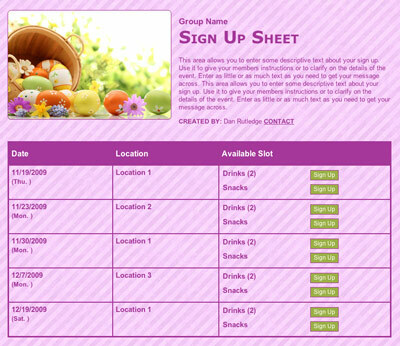 Plan an Easter egg hunt!